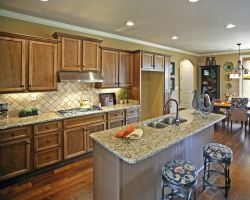 For the amount of time that you spend in the kitchen, it should be one of the most inviting rooms in the house. If your kitchen is not a space that you love then the Paul David remodeling company can help you to make it so. This company has been operating in Tennessee for over 50 years and in that time they have always produced the best quality work for their clients. 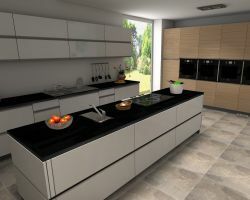 If you want the best kitchen and have it completed at affordable prices then this company can help. Paul’s Tile, Inc. has been helping homeowners just like you to create beautiful kitchens that have the highest quality tile work in the business. This expert is most experienced in tile work but is able to assist you with an entire remodel of the room. From the cabinets to the fixtures, this team will help take your kitchen from old and tired looking to fresh and inviting. As a kitchen remodeling contractor, this company works to ensure the space is as you’ve always wanted while also keeping you on budget. For professional kitchen remodeling in Memphis, TN, many home and business owners turn to the experts at Inside and Out Home Improvement Dba. 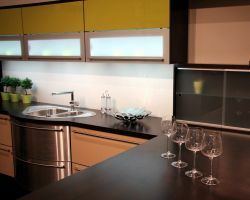 These experts are licensed, bonded and have years of experience creating custom kitchens. When you hire this team, you will be walked through every decision and every step of the process. You will be in control and have final say with the help and advice of the experts to help you fully understand the possibilities for the space. JRI Build Design is known for having the best remodeling team in the business. Each member of the team is hand selected because they are the best at what they do. They need to prove that they can meet special customer requests and work well with clients. As a Memphis kitchen remodeler, this combination of skill and courtesy is a must. Through the remodeling experience, whether it is a weekend or lasts a few weeks, you will build a great relationship with the whole team. Magnolia Homes is not one of your average local remodeling companies. This company has the feel of working with a friend or neighbor and the professionalism of working with a large remodeling firm. Reviews say that this combination makes the company a dream to work with. 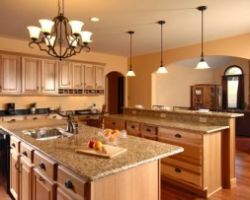 Kitchen remodeling or remodeling of any kind is not cheap, but this company will work to keep you on budget and make the entire process as enjoyable as possible. You will surely be calling this company for your next remodeling job too.